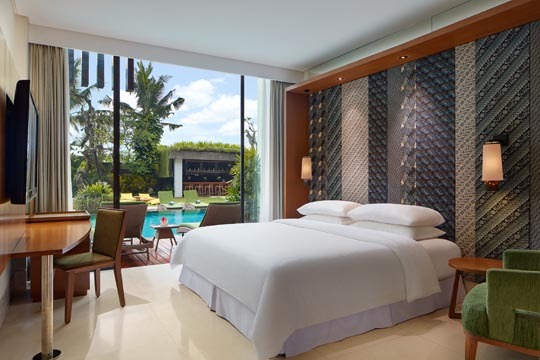 Set down a quiet road amongst the rice fields of Petitenget, the Four Points by Sheraton Bali, Seminyak is a casual but refined retreat designed for savvy travellers and devoted to providing the highest standards of comfort and convenience. 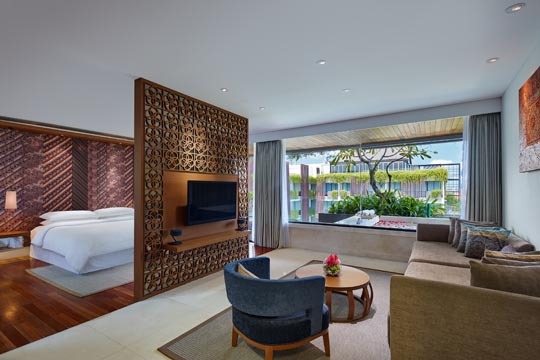 The hotel features 121 modern rooms and suites that are welcoming, spacious and bright, with décor that is accented with dark wood and batik panels to blend comfort and local traditions. The choice of rooms starts with Deluxe, Standard, Pool View and Pool Access, the latter being located on the ground floor and featuring private sundeck and direct access to the pool. 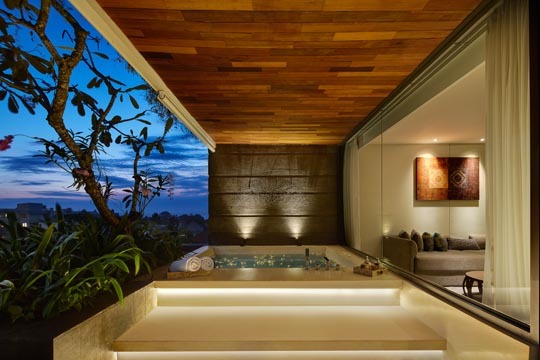 The Deluxe and Deluxe Pool View rooms feature private balconies. For more space there are two suite options, the Junior Suite and the larger Vasanti Suite with its separate living space, private balcony and private outdoor Jacuzzi. The day starts with a varied selection of delicious international breakfast options at the stylish and comfortable all-day dining outlet Devali Restaurant. Situated above the pool and gardens, it offers guests a view as delightful as the food it serves. 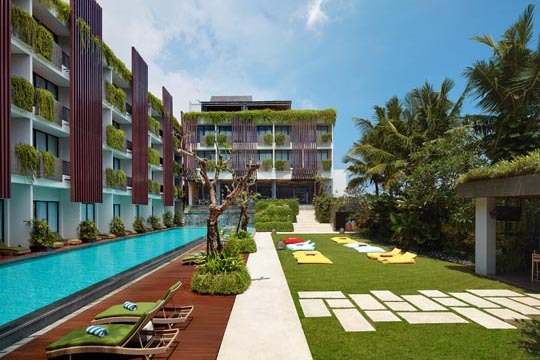 By the modern pool, Splash Bar offers light bites and refreshments throughout the day, while Above Rooftop & Lounge is open from lunch and is a popular spot to enjoy Bali’s famous sunset while sipping on a creative cocktail and listening to the chill-out tunes. 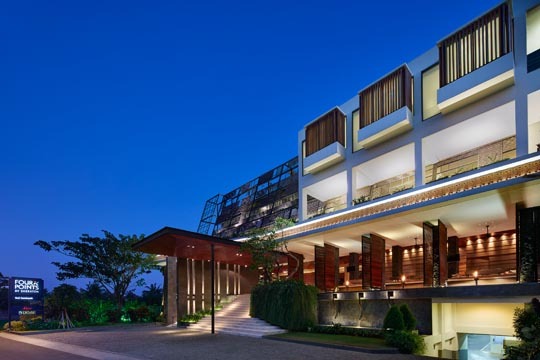 With the Aswangga Wellness & Spa, pool and fitness centre completing the facilities, the hotel is ideal for couples, families and groups of friends who can also discover an array of dining, boutique shopping and vibrant nightlife options within easy walking distance.